"Home of the stiff upper lip". Travel the world with Stewie and Brian Griffin! 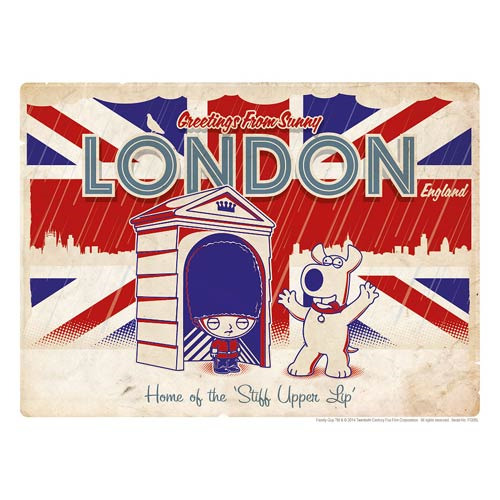 The beloved Family Guy characters send greetings from sunny London, England in this postcard-style print. A limited edition of 395 hand-numbered prints, each piece measures 13-inches x 19-inches and includes a certificate of authenticity. Ages 15 and up.